The Pulaski was created in the years just following the 1910 Big Burn by U.S. Forest Service Ranger Ed Pulaski, and it continues to be used by wildland firefighters to this day. The tool is a combination of a fire axe and an adze (or hoe), allowing firefighters to chop or dig with the flip of a wrist. Its design has remained largely unchanged since its creation over 100 years ago. 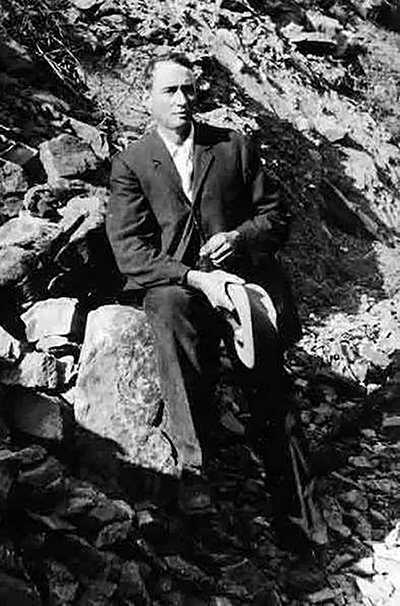 Ed Pulaski joined the Forest Service when he was 40 years old; his previous experience had been in mining, prospecting, ranching, blacksmithing, and construction, among other things. 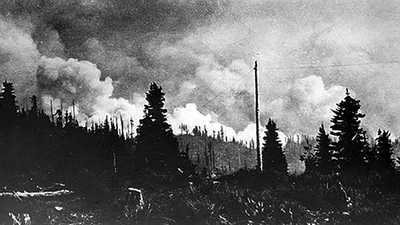 In 1910, Pulaski became a hero during the Big Burn, which consumed over three million acres in three different states in 36 hours. Trapped by the raging fire, Pulaski saved the majority of his men by sheltering in an old mine shaft for hours until the blaze outside subsided. Still healing from his own significant wounds, Pulaski set to work on finessing a single tool that could perform the functions of the most basic, yet necessary, firefighting appliances. 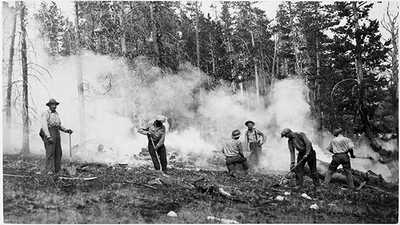 Prior to 1911, similar tools had been invented for the purposes of clearing land, farming, and fighting fires. One source describes Pulaski getting his hands on a tool invented by his supervisor, USFS Supervisor William Weigle, that was an axe-mattock-shovel combination. In his personal blacksmith shop, Pulaski modified the tool -- getting rid of the shovel head and lengthening the axe and adze blades -- and thus the Pulaski was conceived. 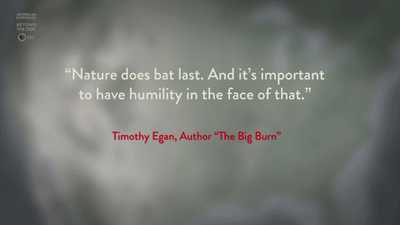 Perhaps it is the legend of the 1910 Big Burn hero that inspired wildland firefighters to credit Ed Pulaski with creating the tool that they wouldn't go to work without. Or perhaps its in the way that wildland firefighters have described the Pulaski tool as "balanced and useful and compact enough that it can be carried everywhere," that the origins of the tool remain less important than its usefulness and impact. Ed Pulaski's original prototype is on display at the Wallace District Mining Museum in Wallace, Idaho. His initials are engraved on the intersection of the axe and the adze.